Thesis in the CVC (workshop of I. A. Silver) — "Happiness" rating is satisfactory. The training took place at the picturesque faculty, qualification of the artist painting. (1928−1976) was Born in Dzhambul (now Taraz) with four years left an orphan and was brought up in various orphanages in Taraz, Kazalinsk, Turkestan. Even then, never parted with a pencil. In 1948 he became a student of art school in the city of Frunze. After graduating from College very talented Ali Dzhusupov entered the Institute of painting, sculpture and architecture. I. E. Repin in Leningrad. Enlisting in a time of artistic maturity of the painter enthusiastically working in the genres of landscape, still life, portrait, and especially story-themed paintings. Dzhusupov was a participant of many Republican and all-Union art exhibitions. His art attracted the truth of life, the pathos created images, moral strength and lyrical perception of the world. 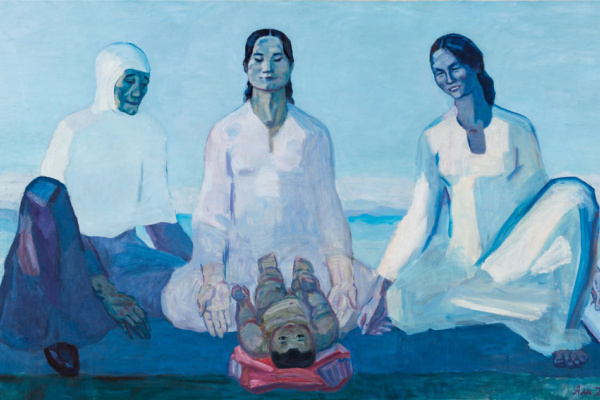 One of the main themes in his work Ali Dzhusupov chose motherhood. This subject he devoted his first works. 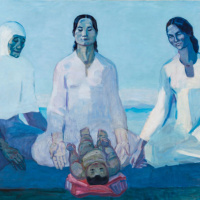 The picture "Women of my Motherland" (1965) became a textbook for Kazakh art. 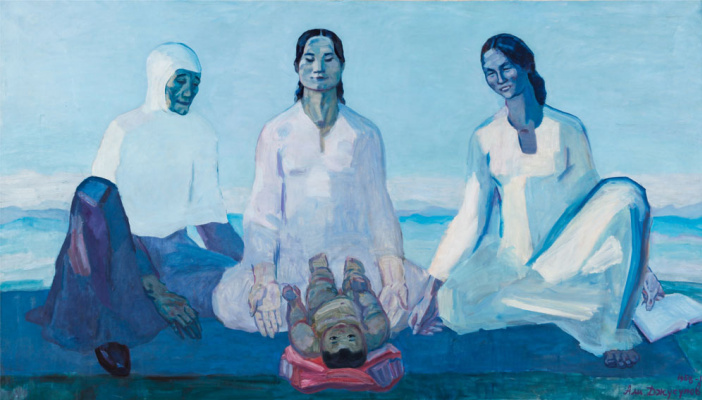 The artist has created a romanticized image of the woman-mother who gives and preserves life. To the best Jusupova works include the painting "First reading" (1960). In the foreground, on the rug, thrown on the thick green grass of the summer pastures, buried in a book, lying on his stomach, the boy six or seven years. He is busy with his first book. Next — grandma with his younger brother on his hands. Two worlds, two generations. Grandmother and grandchildren is the past and the present, of eternal continuity. Also the surrounding nature was a treasure for the hard-working artist, she drew him in her mystery, sun, air and beauty.